Fibre is great for you - your breakfast cereal boxes even say so. Think you're eating enough of it? Most people aren't. Fiber deficiency is a present-day problem that affects thousands around the world. While women and men are urged to respectively consume at least 25 and 38 grams on a daily basis, average intake hovers at a paltry 10-12 grams per day. The Hibiscus flower has “anti-hypertensive properties” which helps lower blood pressure levels. Some studies found that drinking 2-3 cups of hibiscus tea can mitigate the effects of high blood pressure. Like berries and some leafy greens, this tea has tons and tons of antioxidants that protect us from chronic diseases like heart problems and cancer. This drink doesn’t have to be made straight from dried flowers. Though the flavor won’t be the same, chilled hibiscus tea can also be made with 5 hibiscus tea bags and 10 cups of water. For this recipe, feel free to use the sweenter of your choice, such as stevia or agave nectar. After the set time has passed, strain the flower and let your tea cool for about 20 mins. When the tea is at room temperature, add the lime juice, sugar (or sweetener) and ice. Valentina Selviz is a food and fitness blogger getting her degree in Nutrition, and a certification in Personal Training. Check her out on her social media accounts and her blog for macro friendly recipes and fitspo! Contrary to common belief, breaking out a sweat on a daily basis might not be the most crucial component of a healthy lifestyle. It's even more important to pay attention to what we put into our bodies. Eating wholesome sources of macronutrients and micronutrients will affect us more than exercising will in the long run. Bearing this in mind, what we eat around our workout can either supplement, or negate all of our hard work. Here's some information to help you get a grasp of what to eat and what to avoid for pre and post workout nutrition. What should we eat before working out? The answer to this is protein and carbohydrates. An article by Bodybuilding.com explains that two to three hours prior to training, protein sources that are high in tyrosine can make you feel more alert and energized. In the same way, slow-digesting carbohydrates that are low in fiber but high in a sugar called amylose can help you maintain a steady blood sugar level. This will keep you feeling satiated throughout your workout. The article also uses a formula to calculate, a range how much protein and carbohydrates you should be eating according to you weight. Protein sources that are high in tyrosine include egg whites, cottage cheese, seaweed, spirulina, red meat, and white meat. High-amylose carbohydrates include potatoes (red/white/sweet), yams, oats, whole wheat pasta, and different types of rice. Immediately after your workout, you should try to drink a glass (500ml) of fat-free milk. Several studies concluded that when you drink fat free milk after your workout, you can increase lean body mass, improve your strength, and reduce your body fat. This stands in contrast to soy milk and other caloric-dense beverages that were tested for the same purpose. Likewise, if you’re able to get your hands on20-25g of whey protein right after a workout, it can have the same effect. There's a bonus: your body will absorb whey protein a lot faster. When it’s time to eat a solid meal, aim for one of the protein sources listed above, along with the vegetables of choice and fast digesting carbohydrates like white potatoes. 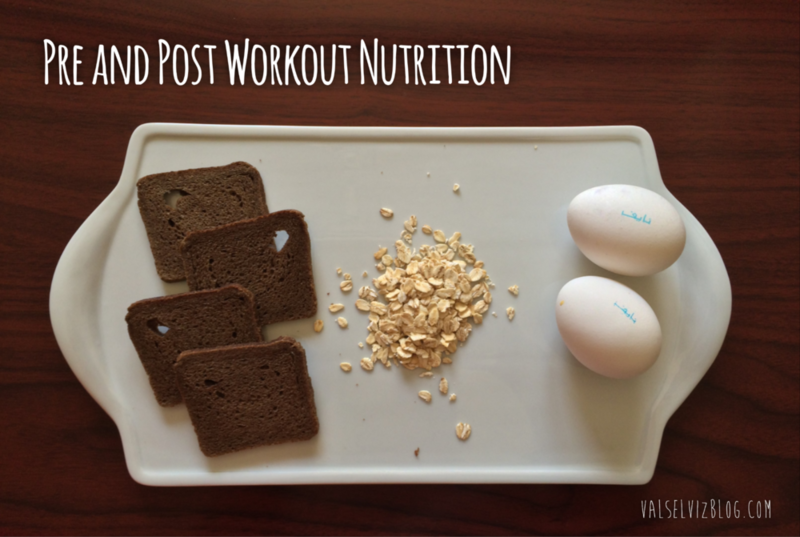 This will help you to replenish your glycogen levels! Also, try to avoid eating fats right after working out, as they have the tendency to slow down food digestion, making it slower for your muscles to absorb any protein. Nuts, avocados and other sources of fat are great in between meals, or before bed. Let's not forget how crucial water intake is before and after our workout and throughout the day. Prior to your workout and with a large meal, drink about 12-16oz of water (about 1 cup and a half to 2 cups). Neglecting water intake can affect your kidneys in the long run! Something that I’ve learned is that we are all unique: be it through our genes, our metabolism, everything! A pre and post workout nutrition regimen that may work for others may not work for me, and vice versa. Give these tips a try and see how they work for you!